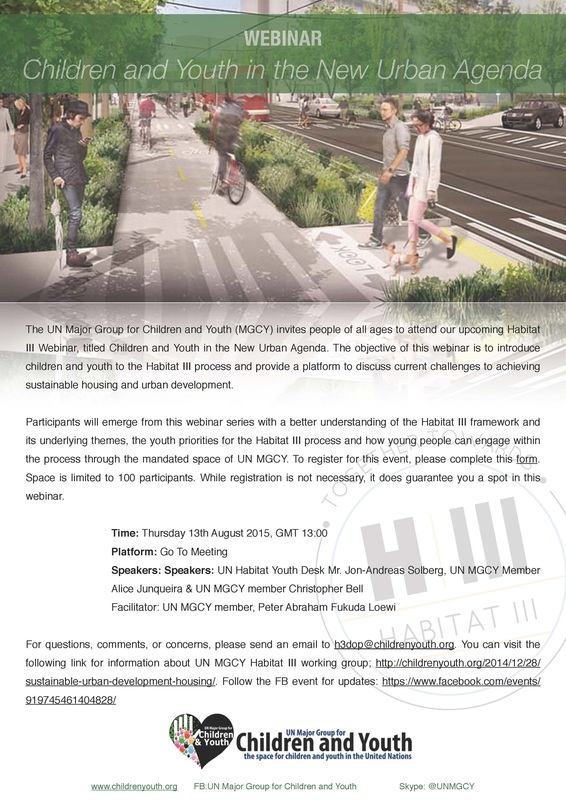 The UN Major Group for Children and Youth (MGCY) invites people of all ages to attend our upcoming Habitat III Webinar, titled Children and Youth in the New Urban Agenda. The objective of this webinar is to introduce children and youth to the Habitat III process and provide a platform to discuss current challenges to achieving sustainable housing and urban development. Participants will emerge from this webinar series with a better understanding of the Habitat III framework and its underlying themes, the youth priorities for the Habitat III process and how young people can engage within the process through the mandated space of UN MGCY. To register for this event, please complete this form. Space is limited to 100 participants. Register here. Time: Thursday 13th August 2015, GMT 13:00 ! Platform: Go To Meeting ! For questions, comments, or concerns, please send an email to h3dop@childrenyouth.org. 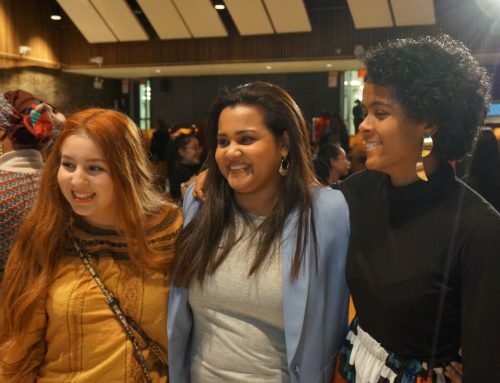 You can visit the following link for information about UN MGCY Habitat III working group: http://childrenyouth.org/2014/12/28/sustainable-urban-development-housing/.